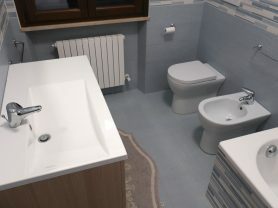 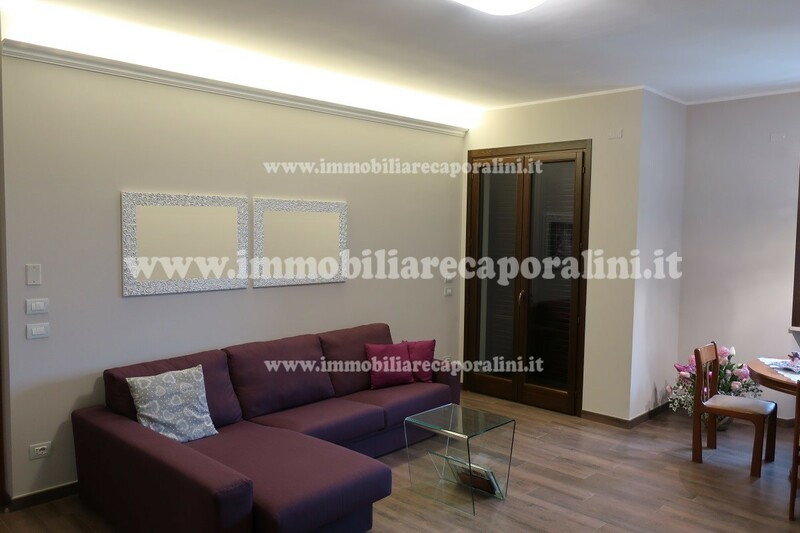 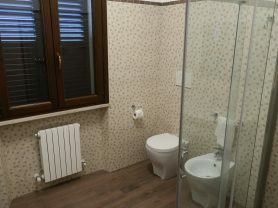 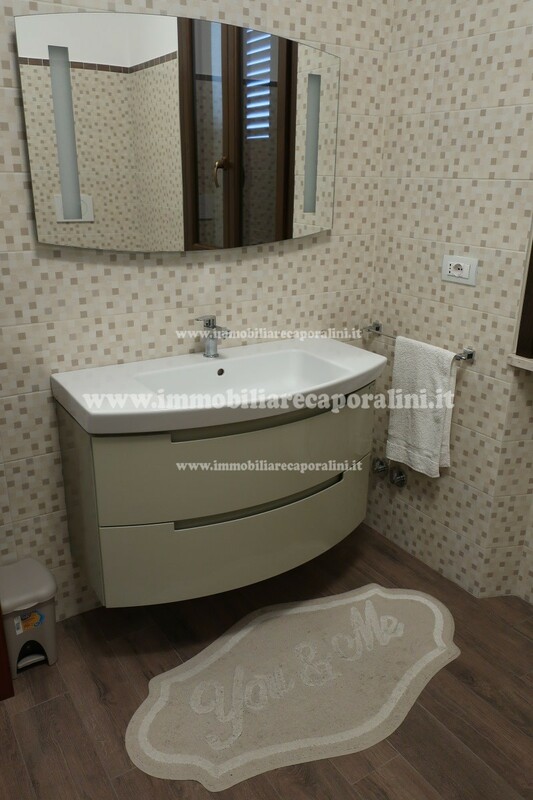 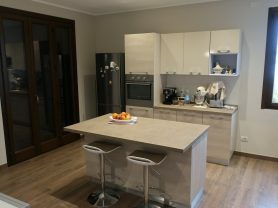 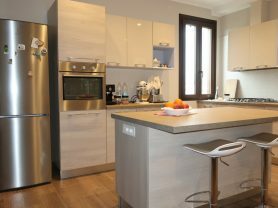 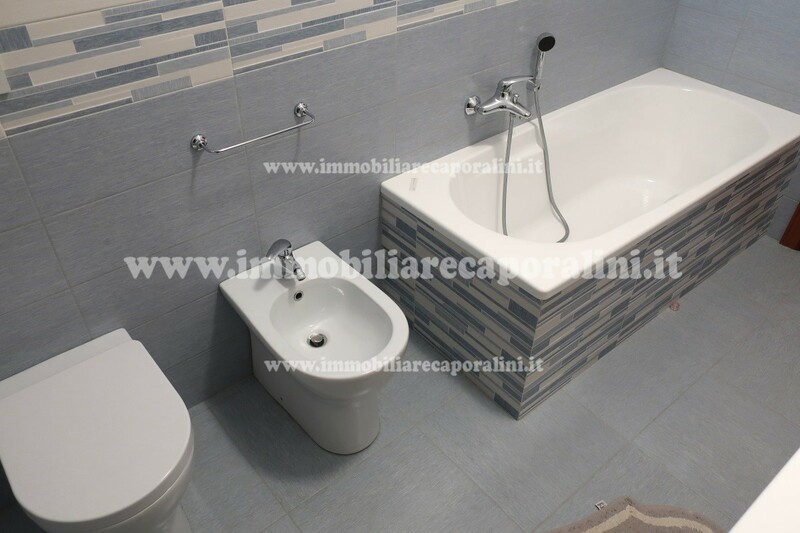 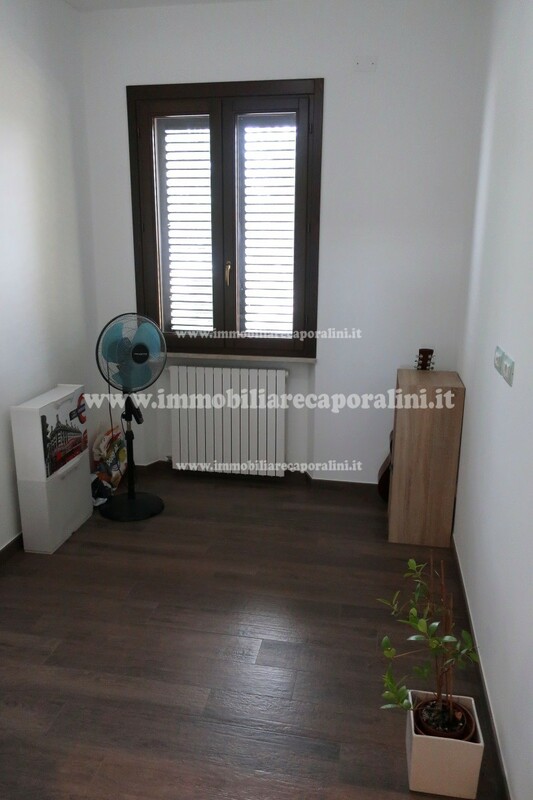 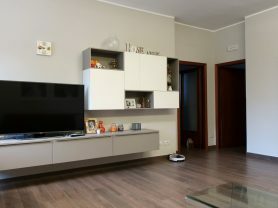 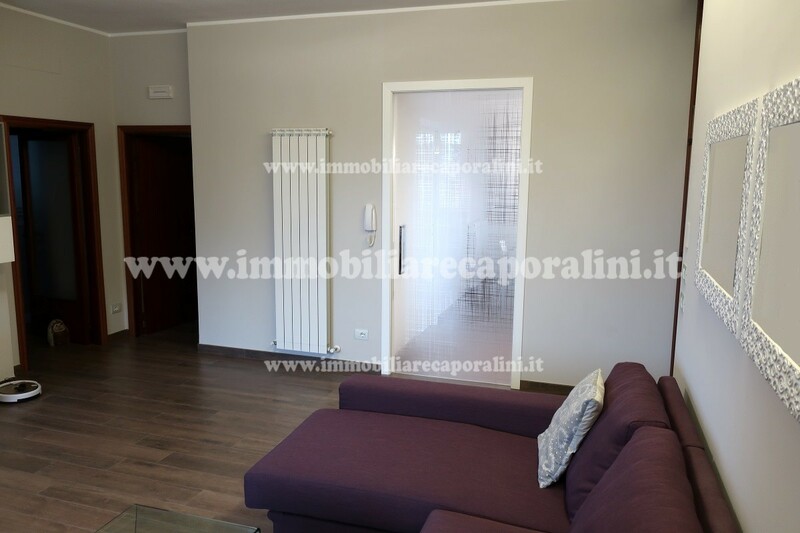 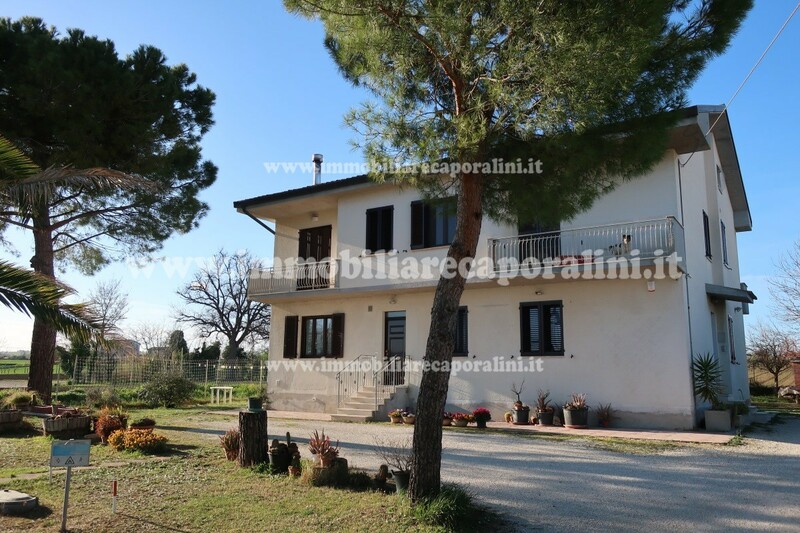 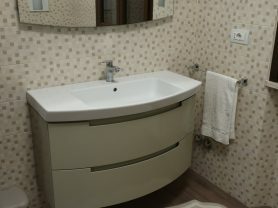 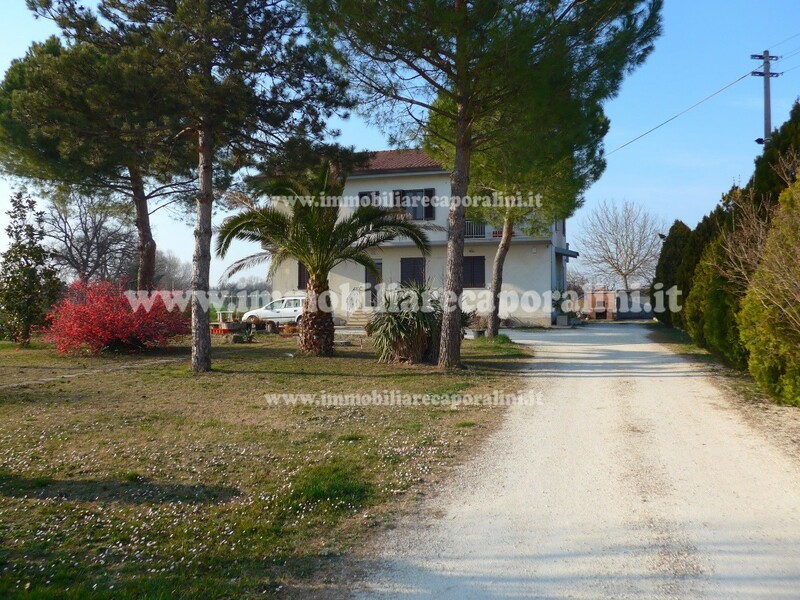 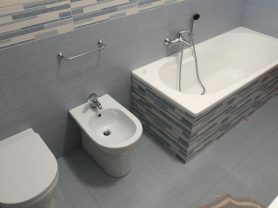 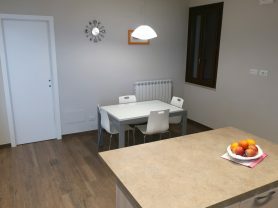 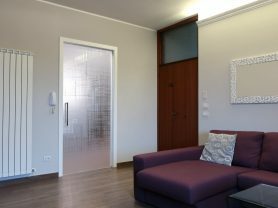 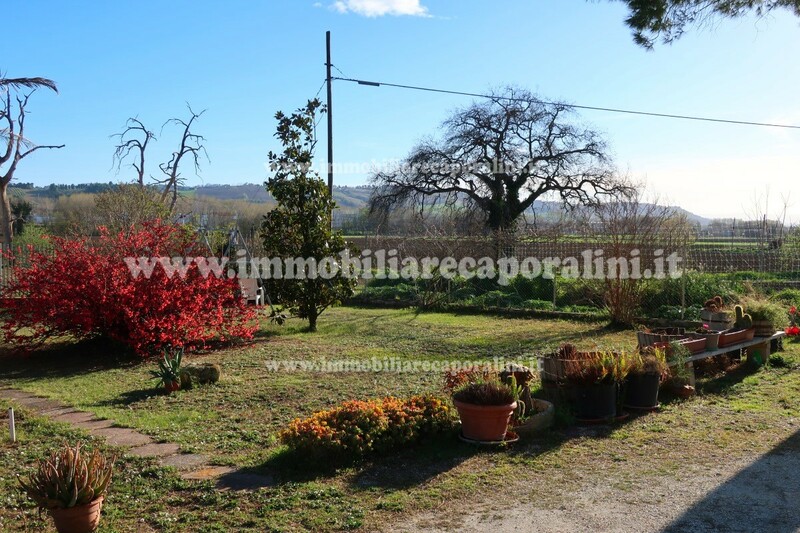 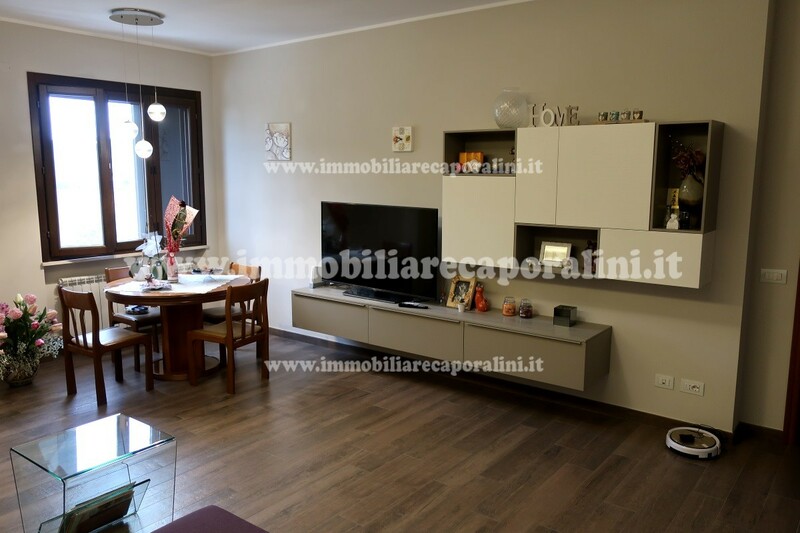 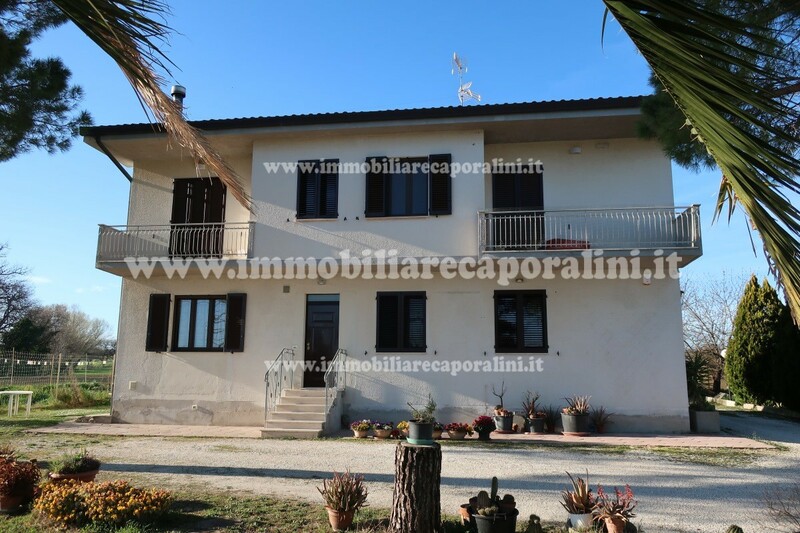 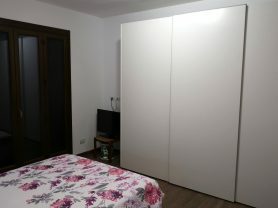 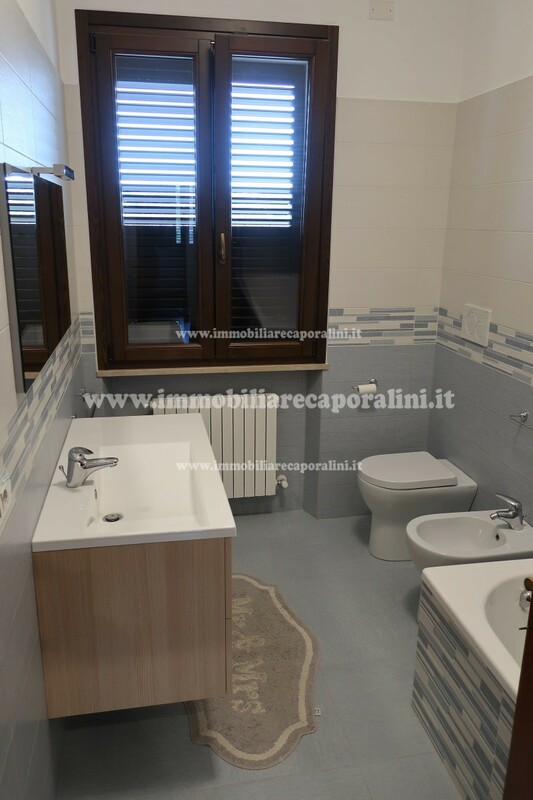 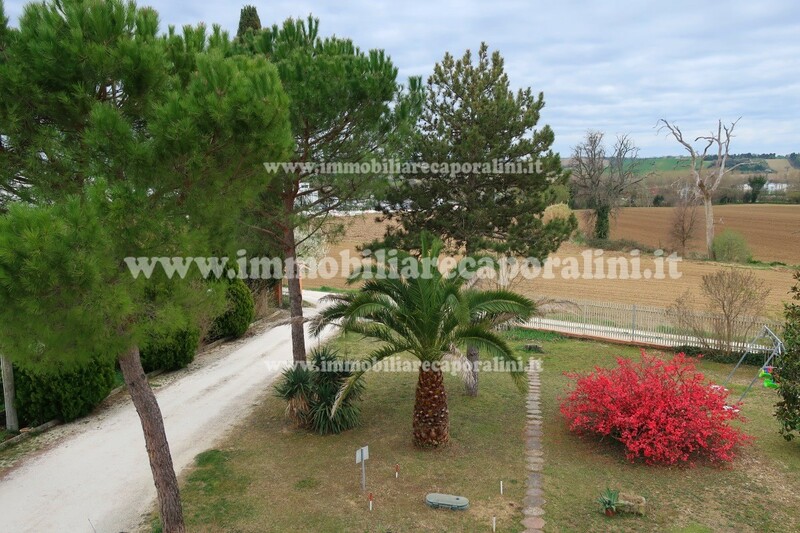 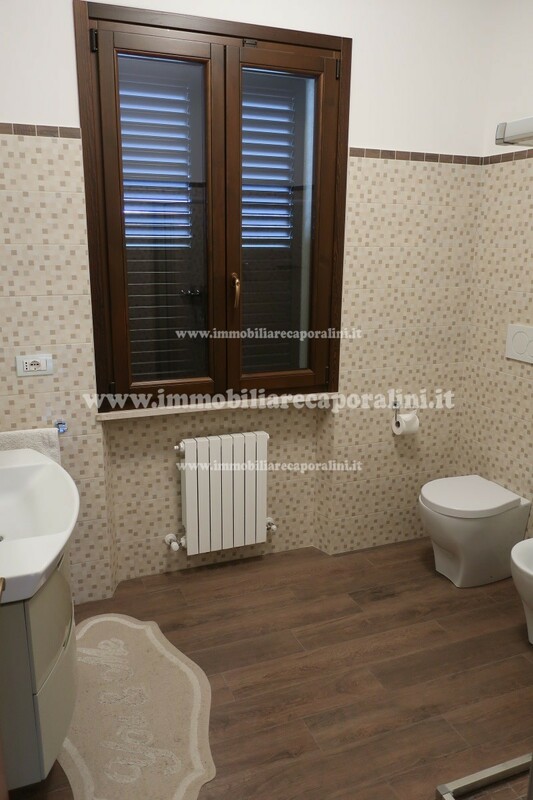 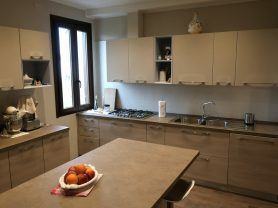 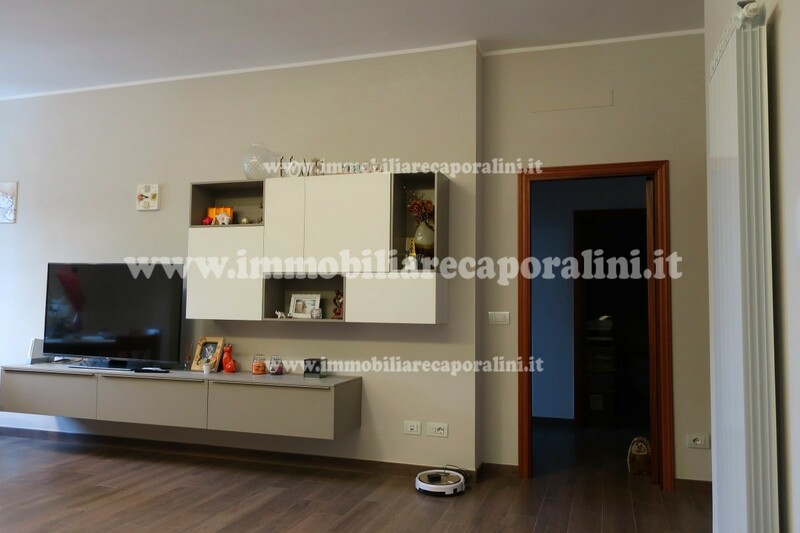 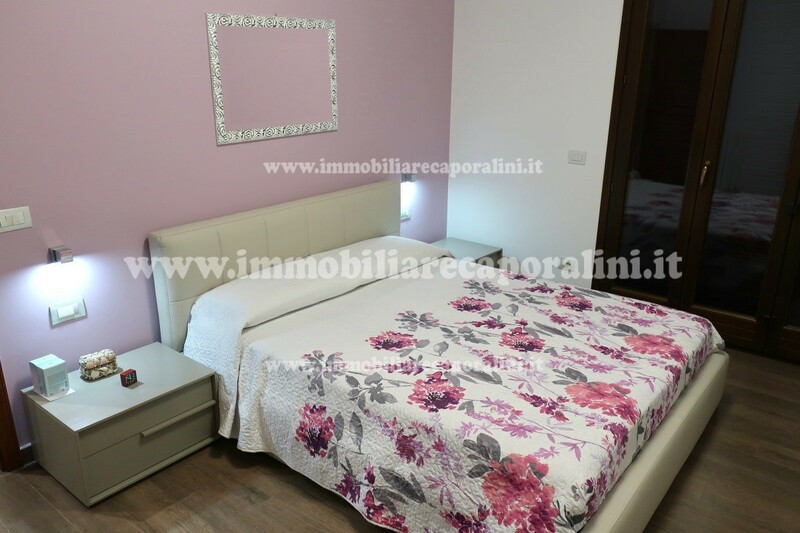 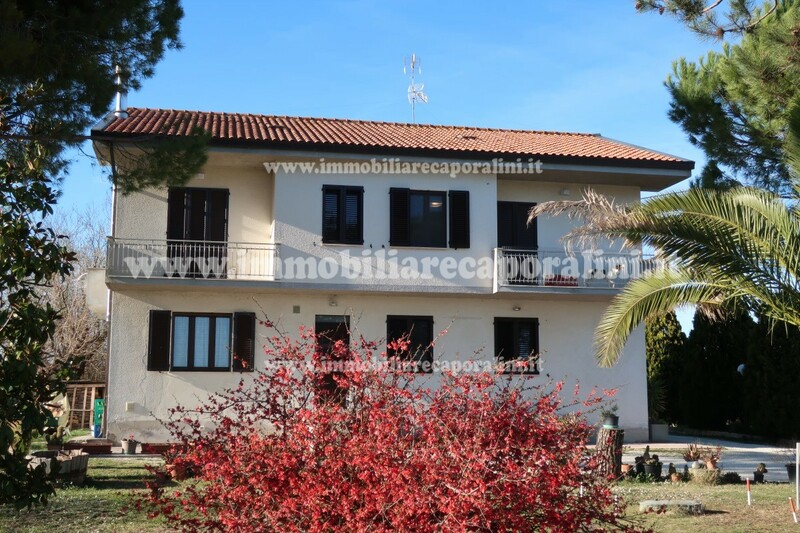 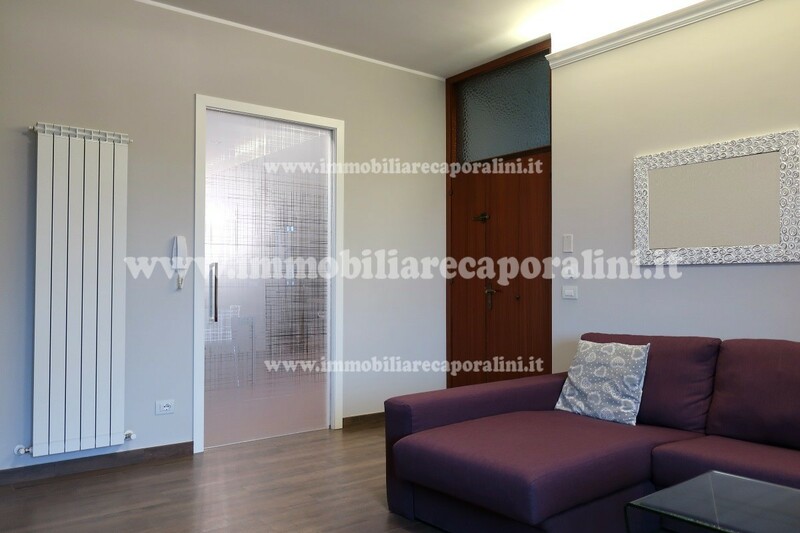 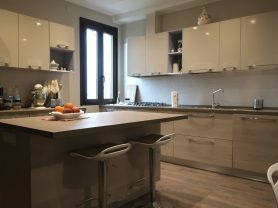 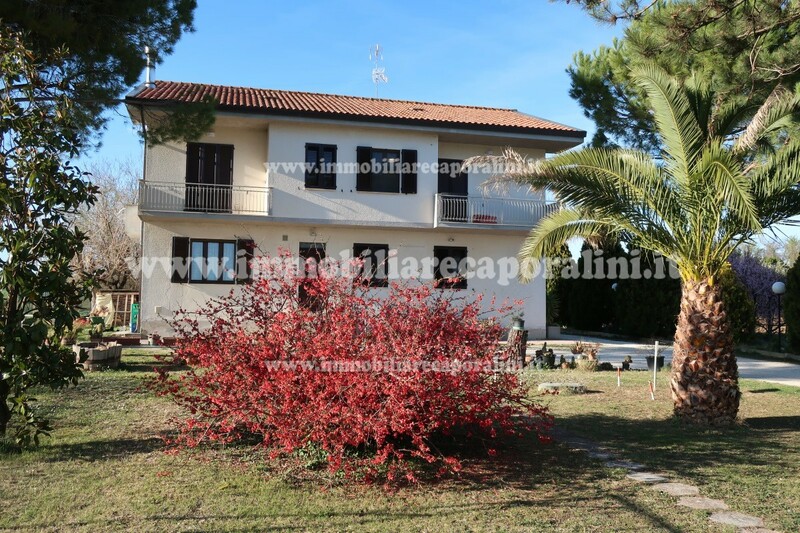 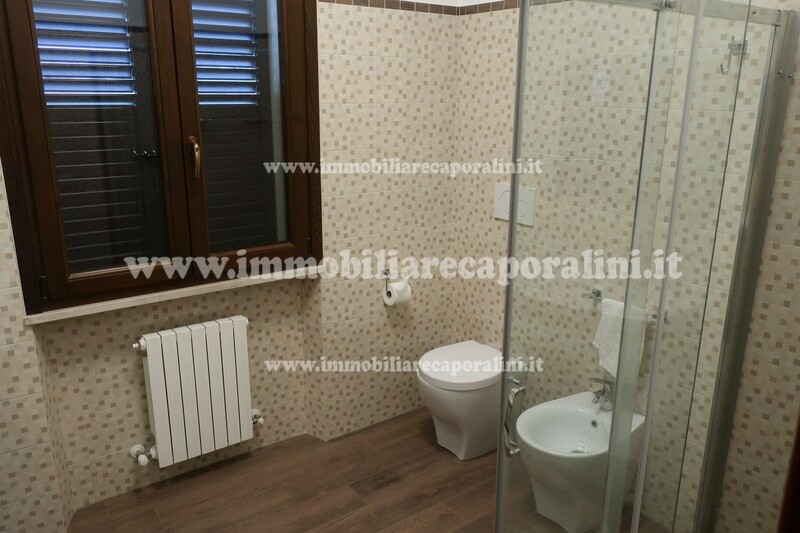 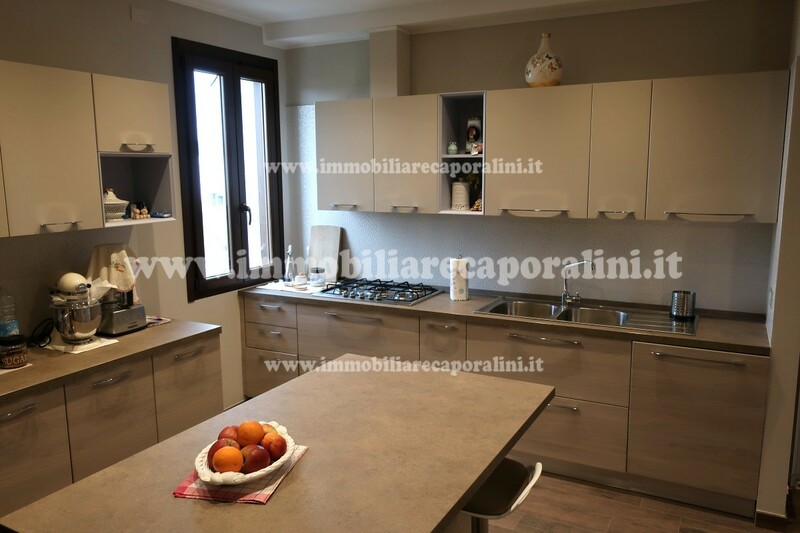 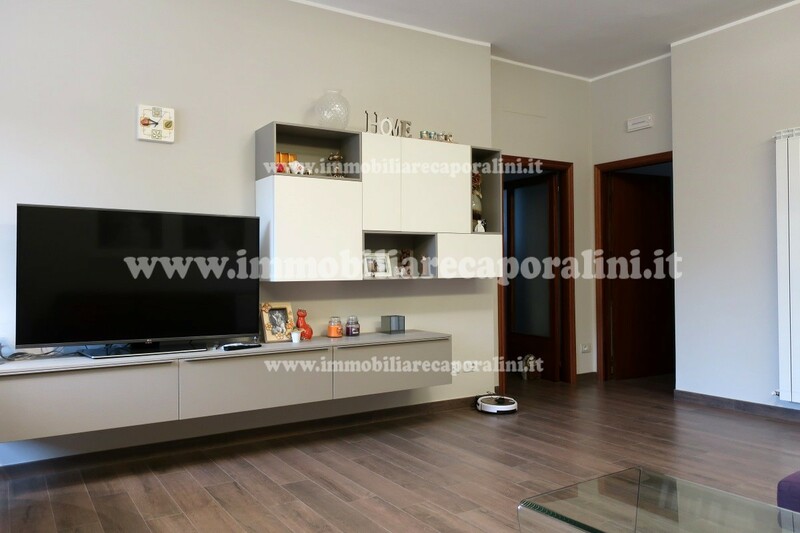 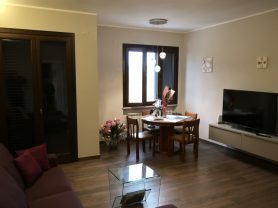 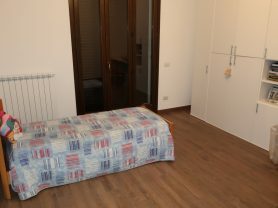 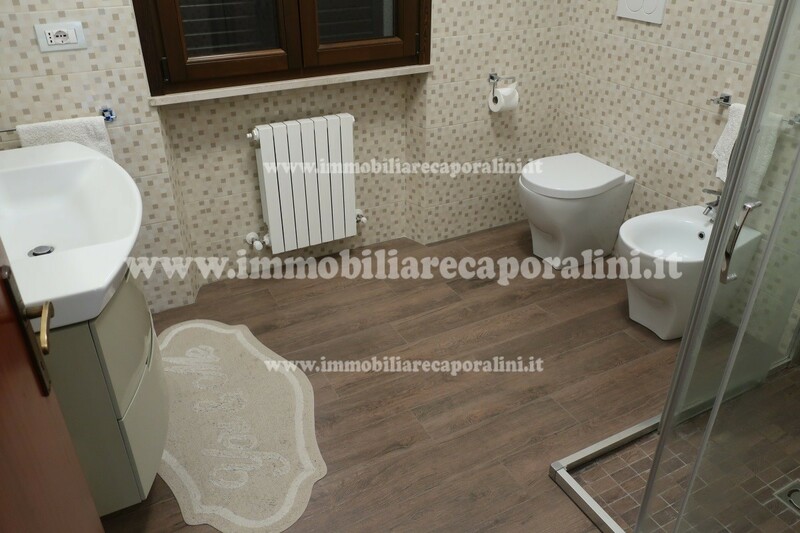 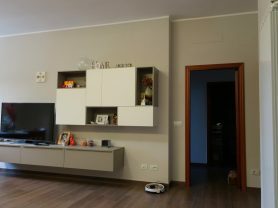 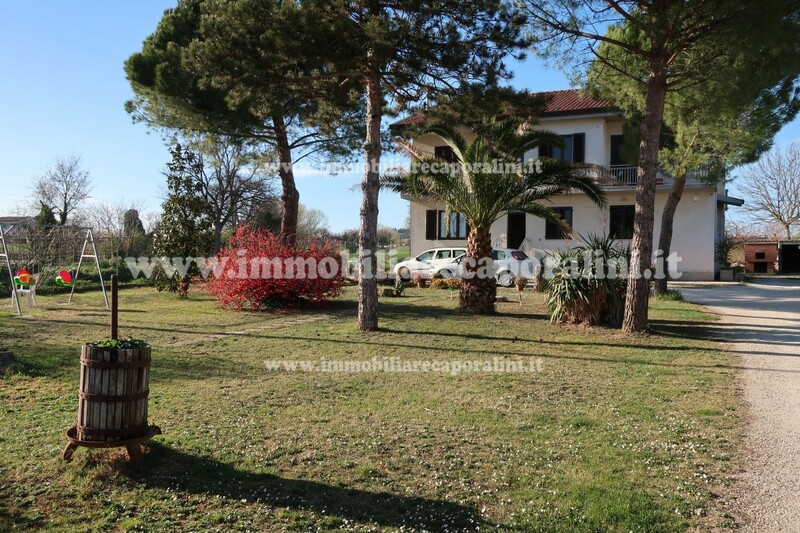 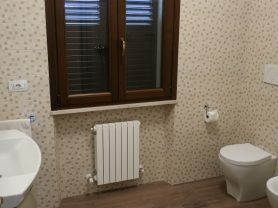 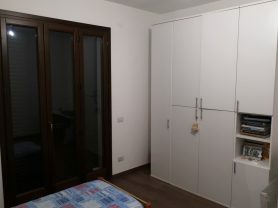 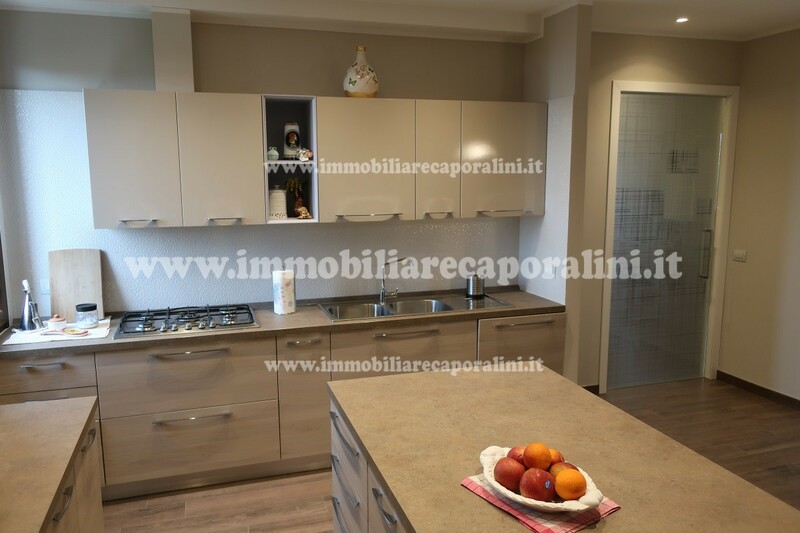 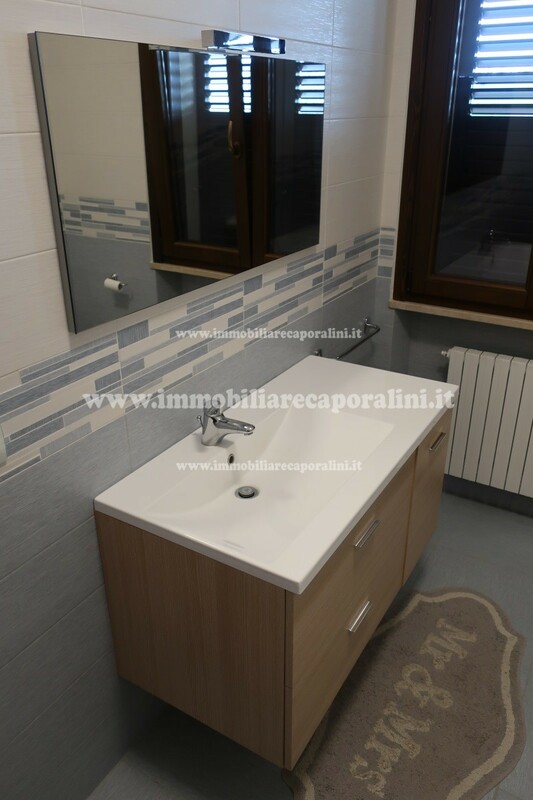 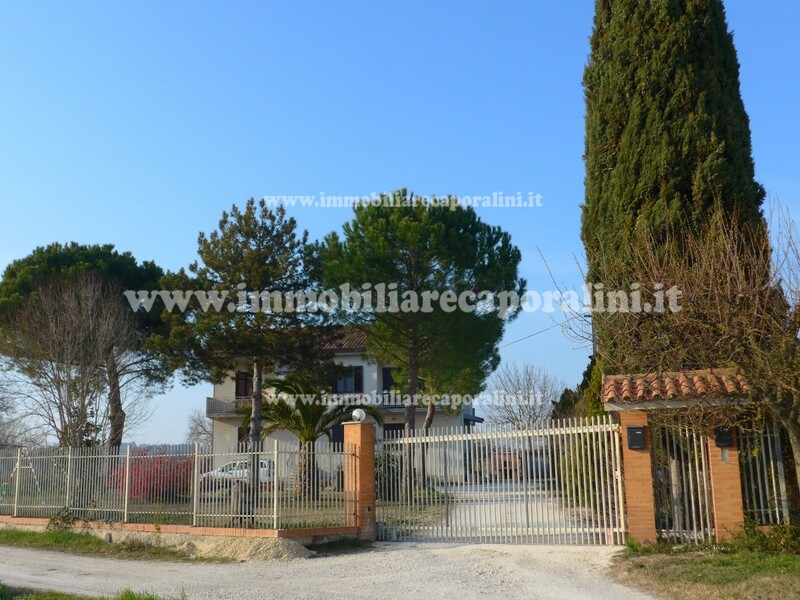 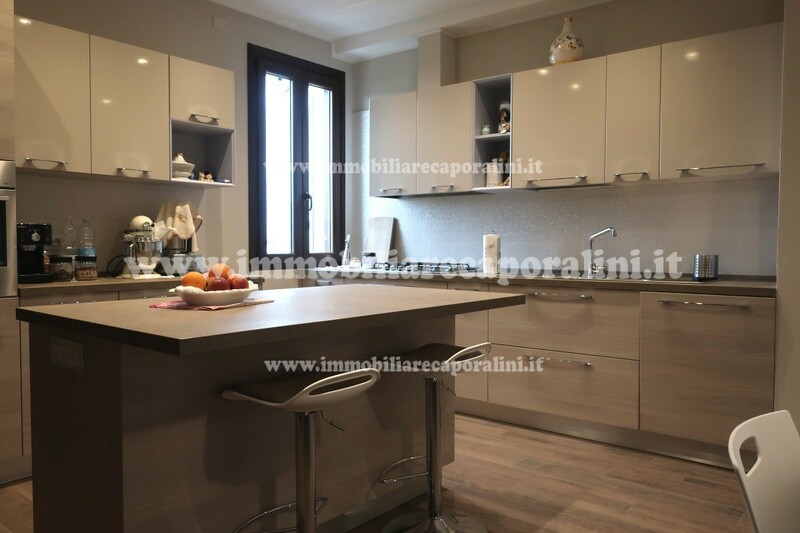 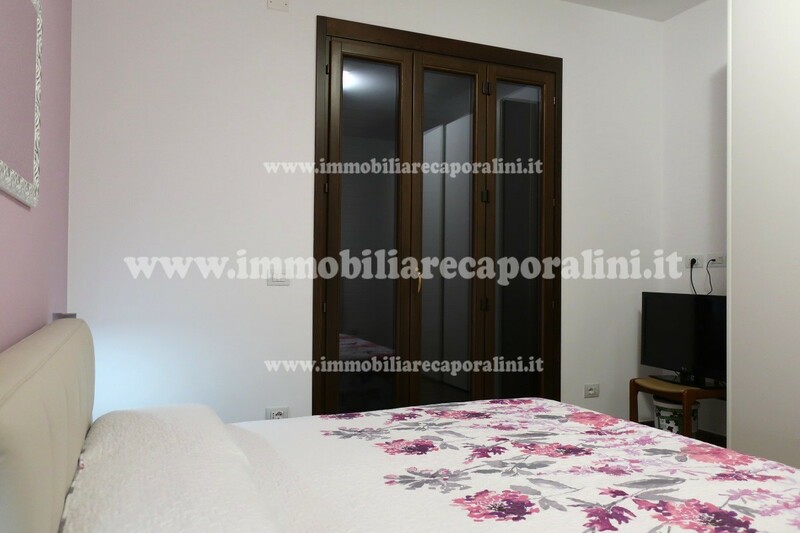 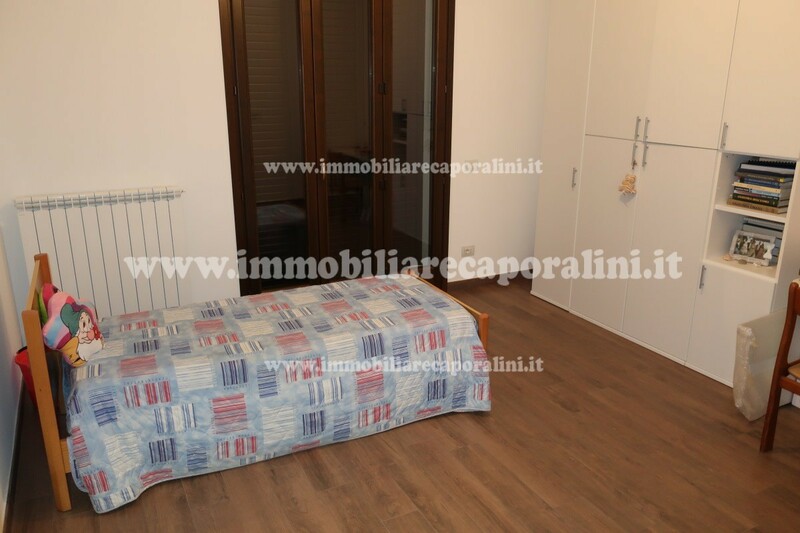 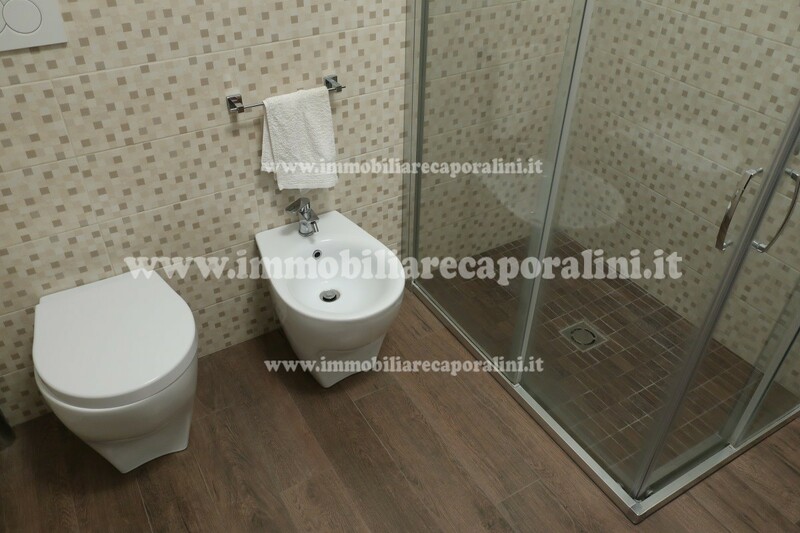 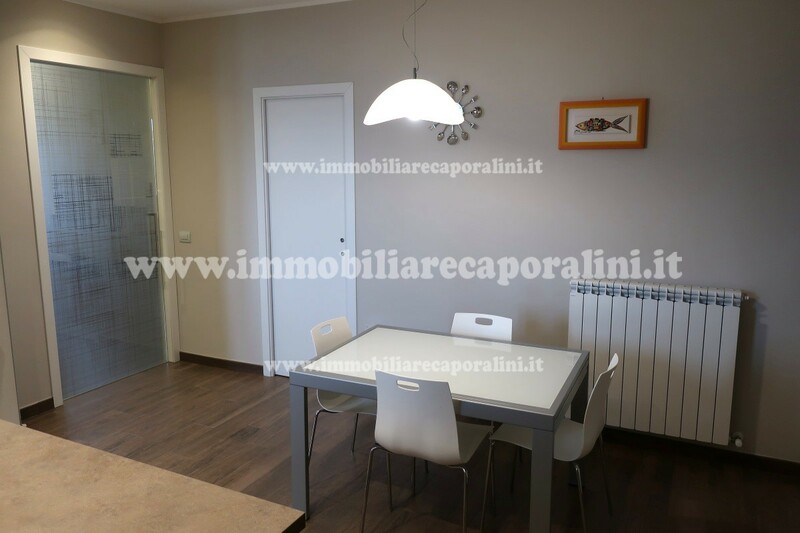 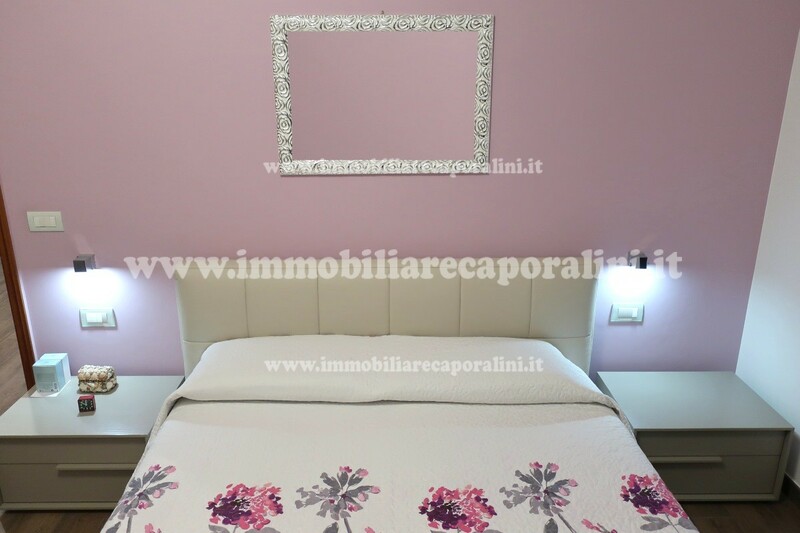 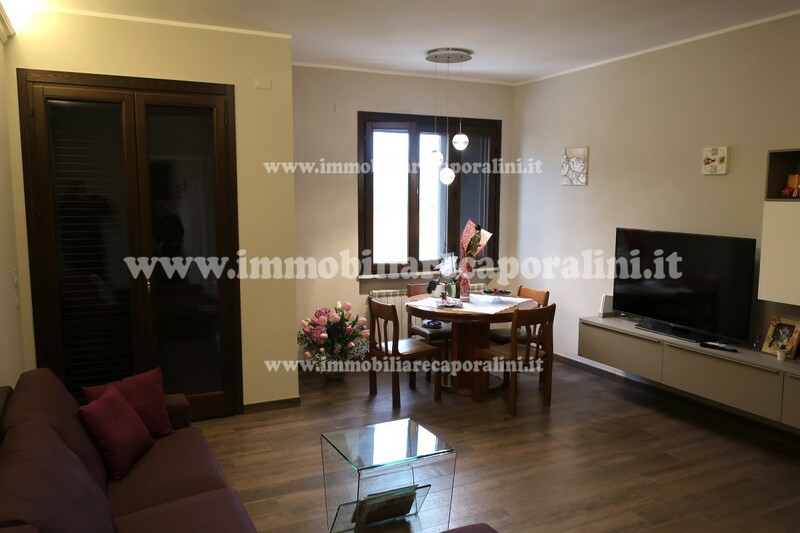 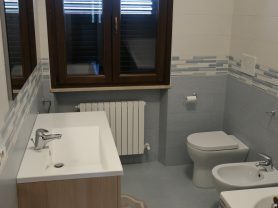 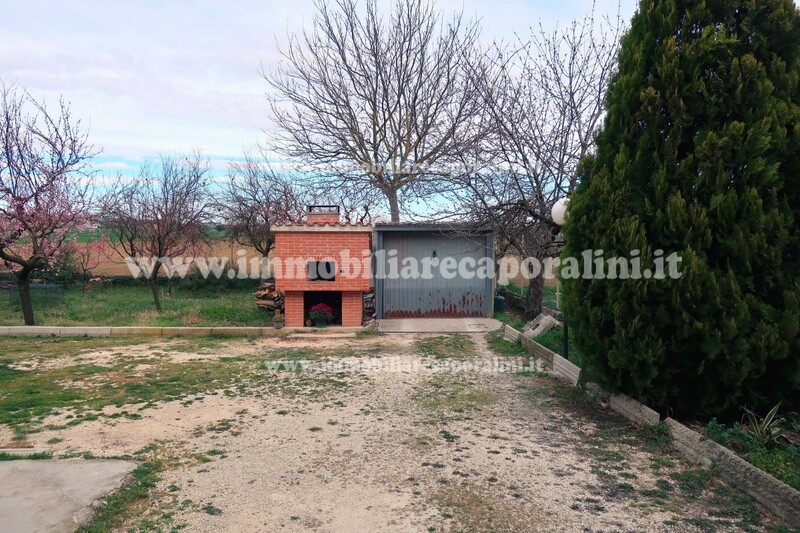 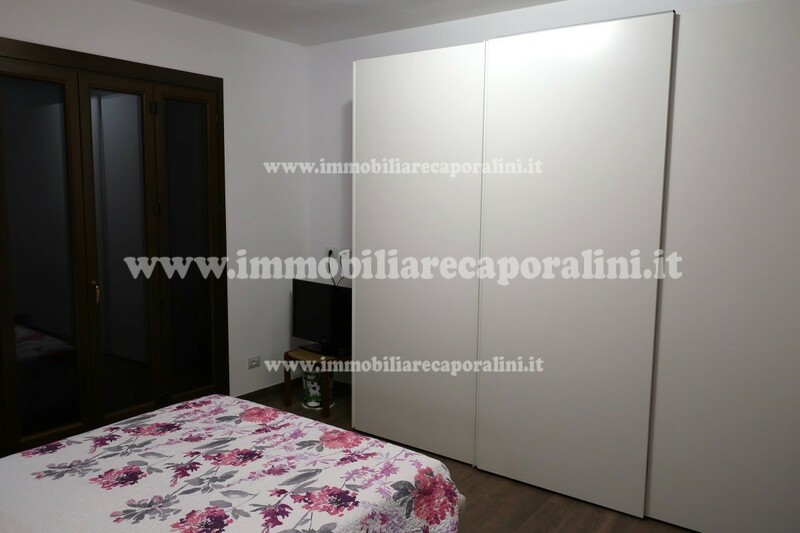 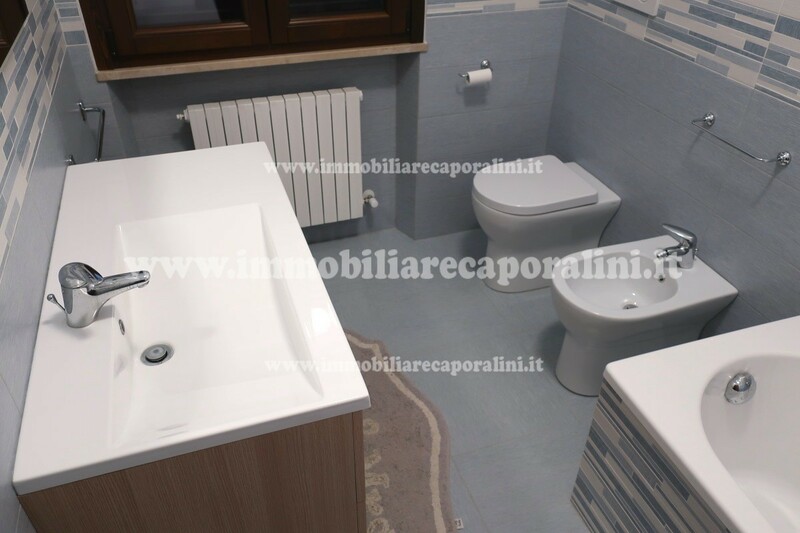 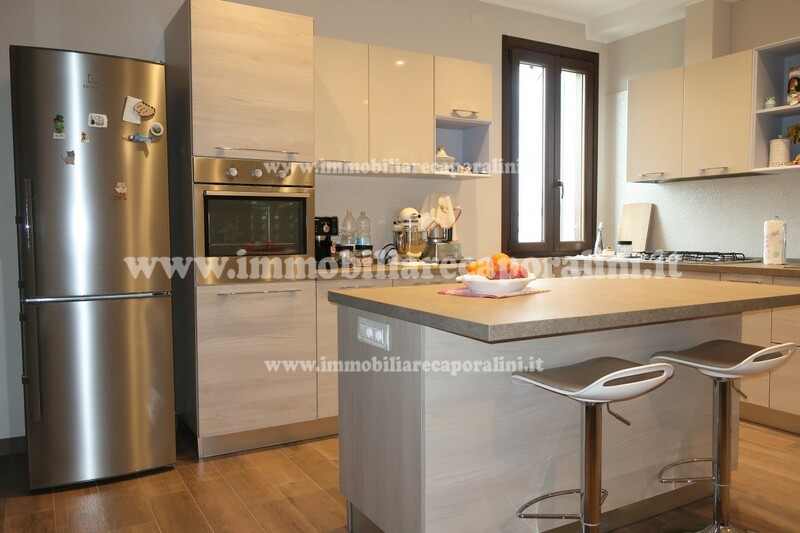 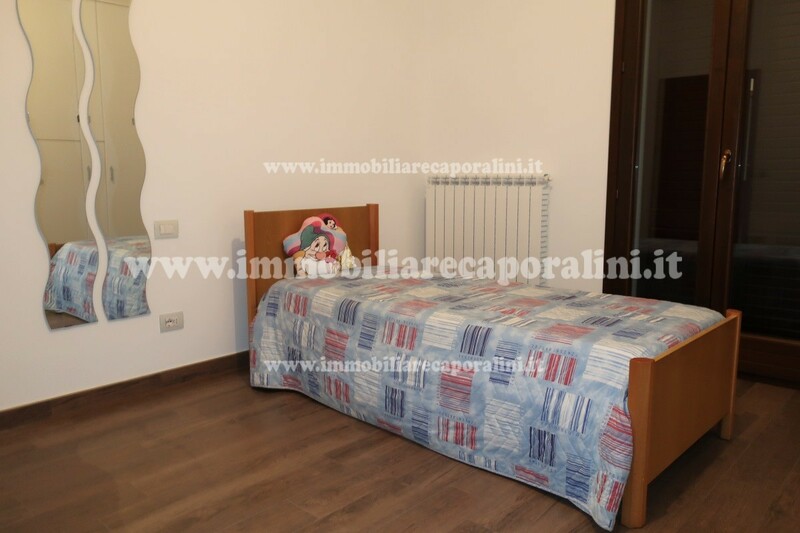 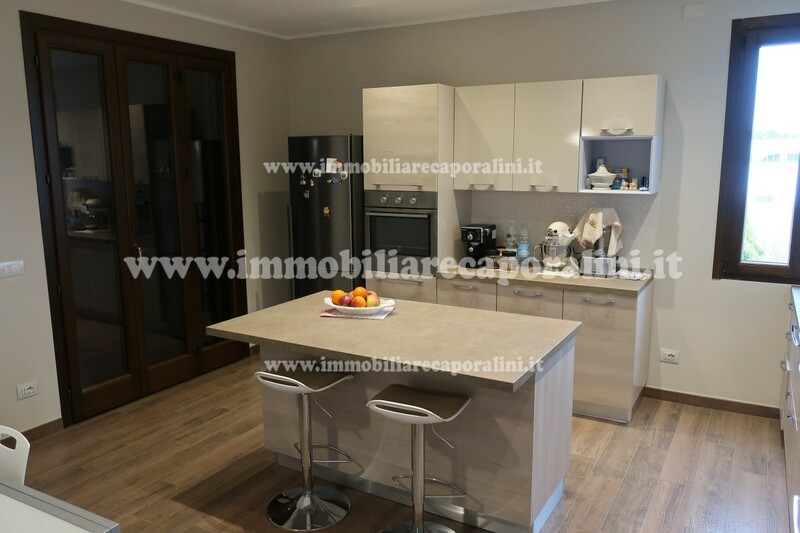 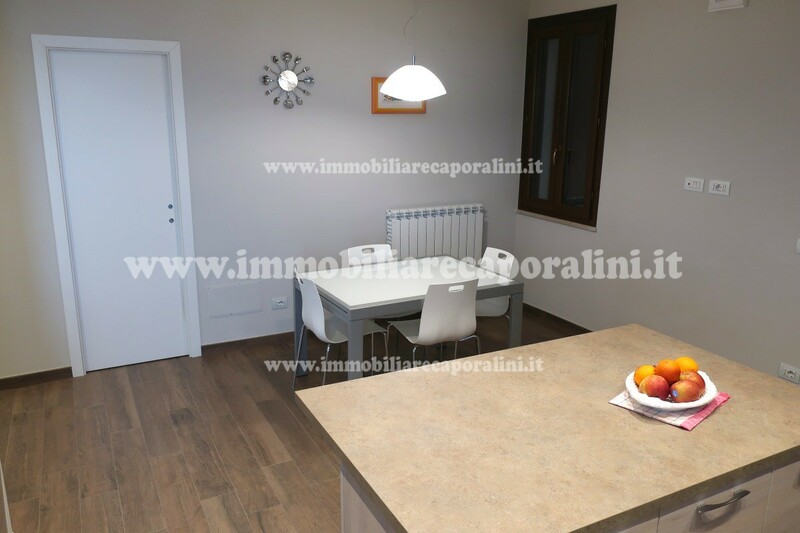 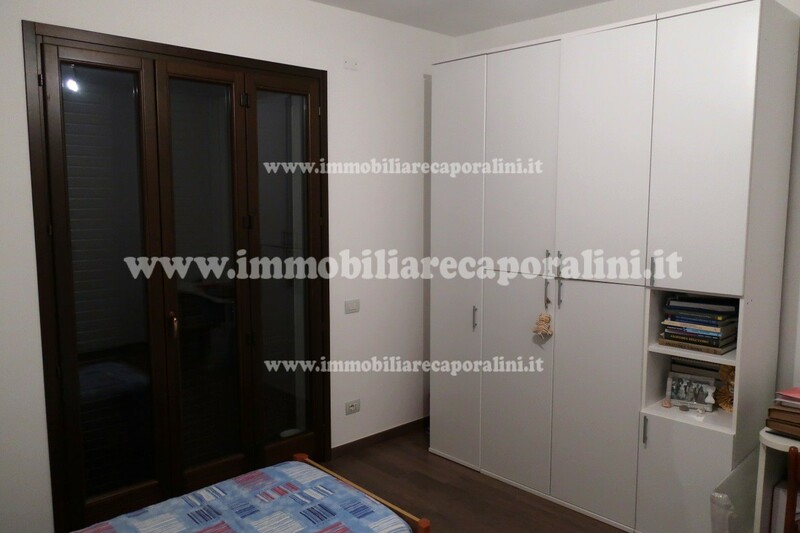 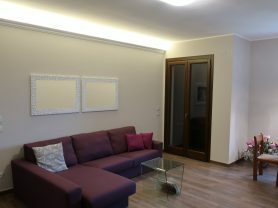 The Immobiliare Caporalini Real Estate Agency offers for sale in Recanati (MC): in a two-family context, a beautifully renovated apartment of about 135 square meters on the first floor comprising entrance hall, large living room with balcony, kitchen with utility room and balcony, disengagement area-night, 2 double bedrooms with balconies, single bedroom, 2 bathrooms, attic on the 2nd floor of about 120 square meters with provision for the installation of solar thermal panels. 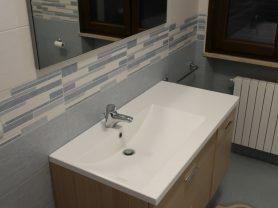 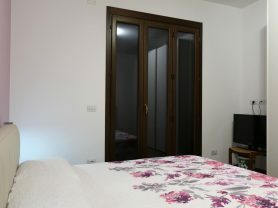 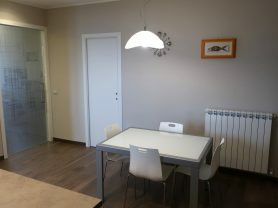 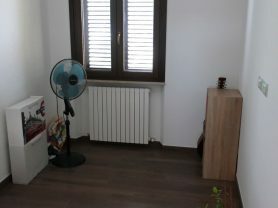 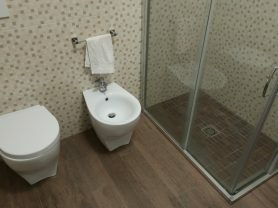 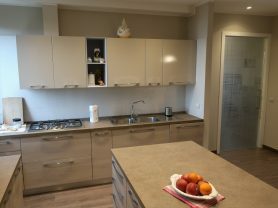 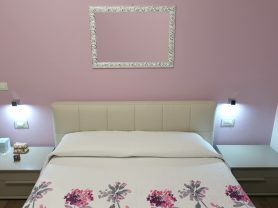 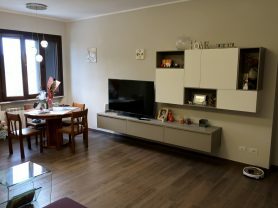 The building is equipped with new electrical / water / heating systems, a “multi-energy puffer” heating system with hot water storage produced by the thermo-fireplace and a support from the LPG boiler, porcelain stoneware flooring with a “parquet” style, new wooden performance frames with thermal double glazing, mosquito nets, aluminum shutters, armored door, provision for air conditioning. 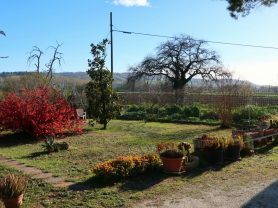 Large common outdoor courtyard partly planted in part used as a garden and vegetable garden, with an external garage of about 13 square meters. 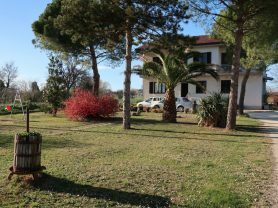 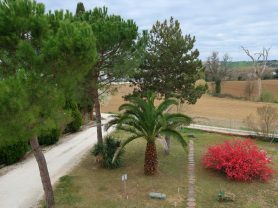 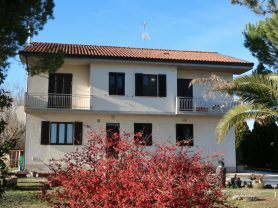 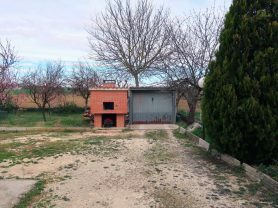 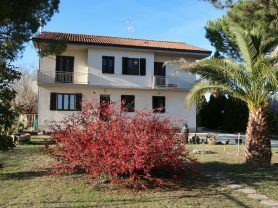 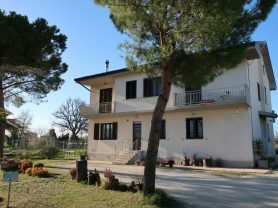 Possibility to buy a portion of the external courtyard with the property and make it exclusive to use it as a private garden. 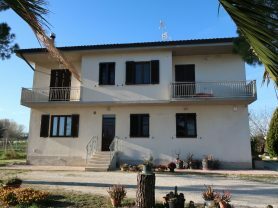 Energy Class D, Epgl, nren 87.6390 kWh / square meter year. 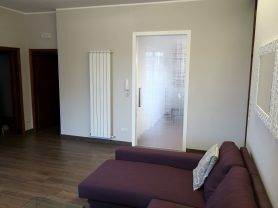 Opportunity!